According to the CHA, the 1230 N. Burling building is scheduled to close no later January 15, 2011, “For similar safety reasons” along with the “low occupancy issues and operational concerns,” that closed the Cabrini Home Extensions. 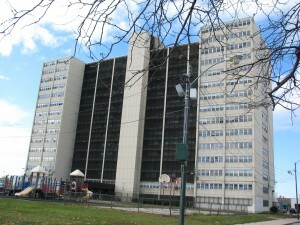 Residents’ Journal spoke to three generations from one family of public housing residents at 1230 N. Burling St. about their thoughts on relocating from Cabrini, while they were in the process of moving this past November 5. Patricia McClatcaty, who relocated to the Burling building from another Cabrini building in 630 W. Evergreen in 1998 because her apartment caught fire, said she was happy to be moving, but would miss the Cabrini community and the things she used to do there. “I’m going to miss it here, because I lived here most of my life and raised my kids here. So right now, I’m going to miss my kids going to school over here and doing a lot of activities. And miss the community meetings and stuff like that. But, I’m grateful and I’m happy to be moving to a new community, and start all over again,” she said. 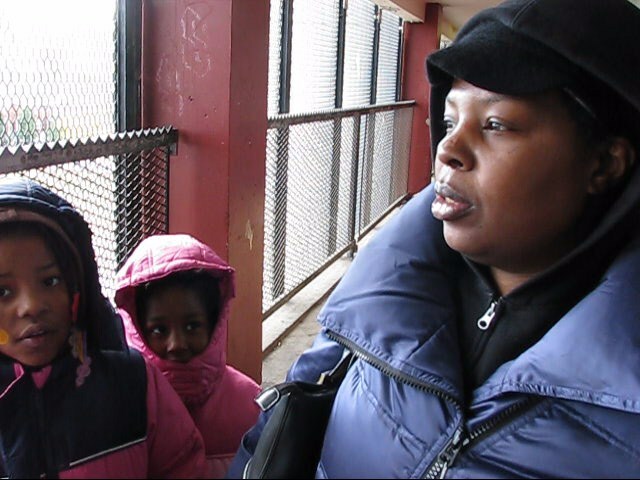 McClatcaty, the mother of seven­­— six girls and one boy—added that she and her younger children were moving to the South Side with a Section 8 Housing Choice Voucher, and hoped to return at some point once redevelopment is done. “But we’re not guaranteed that we’ll get back here, and probably ain’t nobody going to remember us,” McClatcaty said somberly. McClatcaty’s 8-year-old daughter Camille said she would miss playing with her friends and attending the neighborhood Jenner Elementary School where she was in third grade. “I miss my school too. But we’re going to the different school,” she said. McClatcaty’s 70-year-old mother, who lived in Cabrini for the 43 years, also had melancholy feelings about leaving the place she called home, where she raised her seven now-grown children and some 40 grandchildren. “Well, I feel sad because I love here. All the stores are right here. I can get up and just walk to the store and bring my bags back. I feel as though when I move out south, I will have to use a car to get most of my food. So that’s one reason why I feel sad about leaving. I love the place where I live at. It’s just got so much view to my back windows. I can just go and look out of any one of the windows. If I get the chance, I will be coming back,” she said. McClatcaty’s 22-year old daughter said the move was a sad occasion for her and that she was going to miss all her friends, who have all already relocated, as well as the close community of neighbors who once live there. “It’s heartbreaking,” she said. “Because this is my home. This is where I grew up at all my life. Born and raised here. All my friends are scattered around now. We used to just go door-to-door to people’s houses like ‘Where’s my friend at?’ Or they be borrowing this or that. 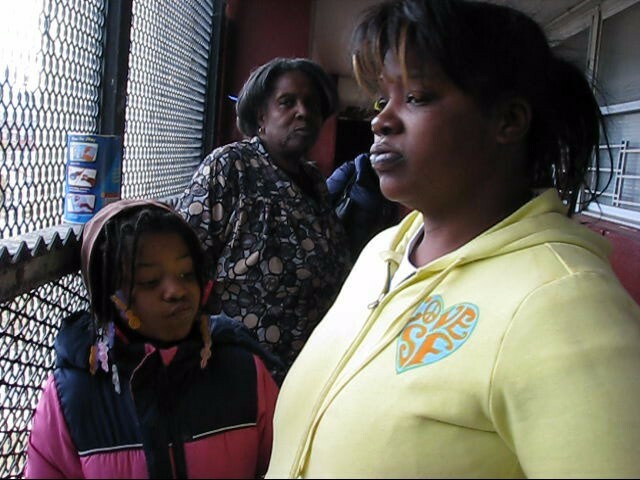 You can’t do none of that no more,” she said, laughing with her little sister. “I feel safer here, basically because I know everybody here. This is my ‘hood,” she said. This entry was posted	on Wednesday, November 10th, 2010 at 9:23 pm. You can follow any responses to this entry through the RSS 2.0 feed. You can leave a response, or trackback from your own site.